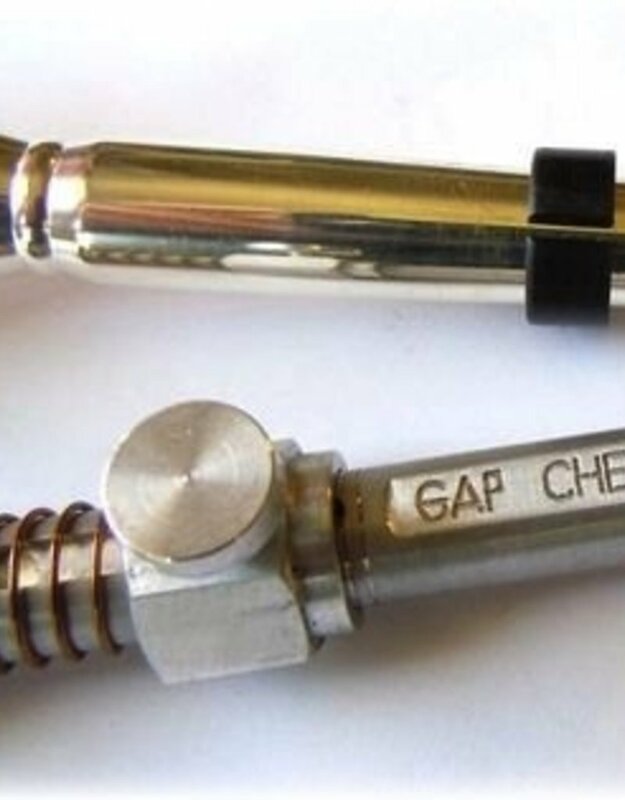 Invented by Ken Titmus, this handy little tool measures the distance between the end of your mouthpiece shank and the beginning of the lead pipe in your trumpet receiver - known as the "GAP".,,Did you ever wonder why a given mouthpiece works well in one trumpet, but not very well in another? 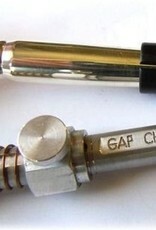 Often times this problem can be traced to the GAP being too large or small.,,In a perfect world, all trumpet manufacturers would get the sizing of the mouthpiece receiver and the position where the lead pipe is soldered into the receiver exactly the same - and trumpet mouthpiece receivers would never wear - and mouthpiece shanks would all be exactly the same size taper. In reality, these perfect conditions don't exist - which in turn results in variations in the amount of GAP.,,To complicate things a little more, there is no single "correct" GAP size. The amount of GAP can and will vary between great playing mouthpiece/trumpet combinations.,,Too little or too much GAP causes playability problems which can be very difficult to overcome.